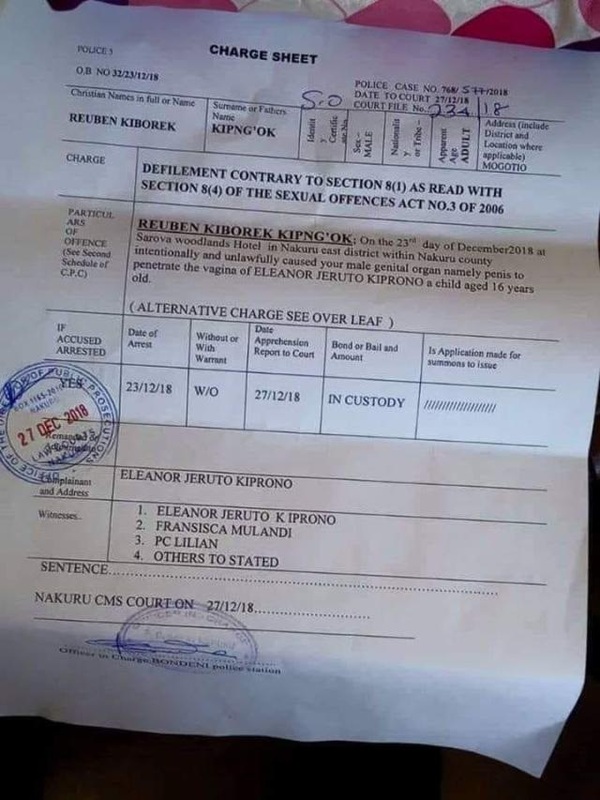 Home / News, Other Political News / Here’s the charge sheet of PA to Water Cabinet Secretary, SIMON CHELUGUI, he defiled the CS’s 16 year old daughter. Here’s the charge sheet of PA to Water Cabinet Secretary, SIMON CHELUGUI, he defiled the CS’s 16 year old daughter. 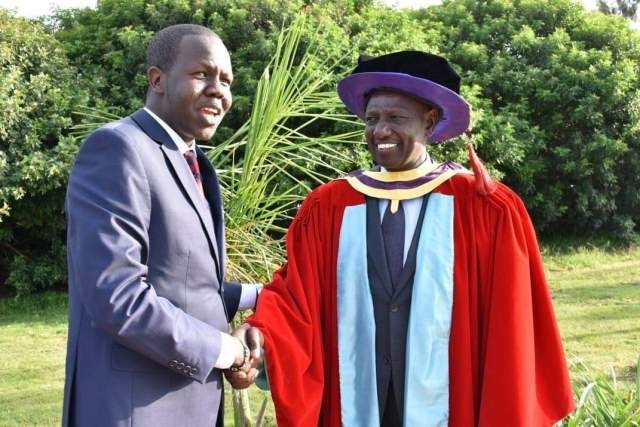 Friday, December 28, 2018-Reuben Kiborek, the personal assistant to Water Cabinet Secretary, Simon Chelugui, has been accused of defiling his 16 year old daughter. Reuben picked the under-age girl in Mogotio and drove her to Sarova Woodlands Hotel in Nakuru where he destroyed her innocence. “On December 23, 2018, at Sarova Woodlands Hotel in Nakuru East within Nakuru County intentionally and unlawfully defiled a child aged 16-years-old,” part of the charge sheet reads. He also faces another charge of committing an indecent act with a child. He was presented in a Nakuru Court on Thursday after spending three nights, including Christmas in police cells at Bondeni police station in Nakuru. He denied the charges before Nakuru Resident Magistrate Yvonee Kathambi and was freed on a Ksh 300,000 bond. The magistrate directed the case to be mentioned on January 18 2019.